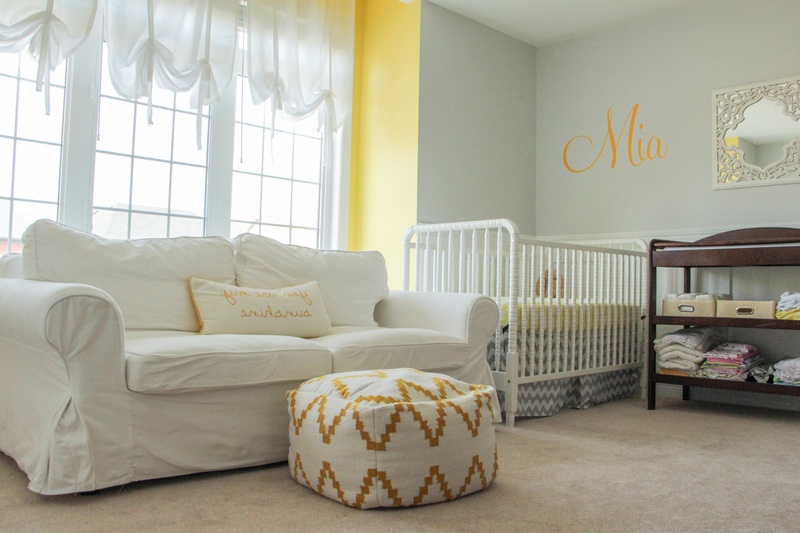 It’s official, the twin’s nursery is Mike and my favourite room in our house. Every night after putting Holden and Beau to bed I can find Mike sprawled out on the sofa in there. I think this room soothes his soul after a hectic day. Or maybe he is just picturing holding our baby girls… he loves babies! 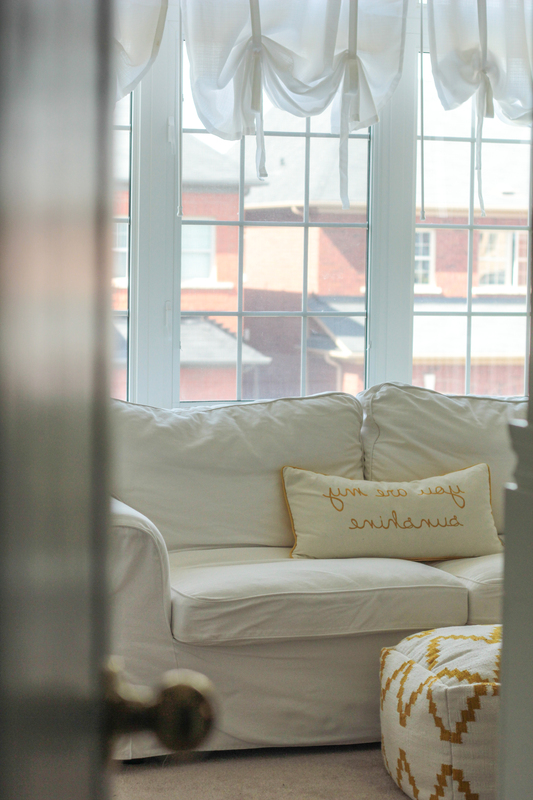 I wanted to make this room elegant, refreshing and sunny which I think I definitely achieved. We were blessed to have a large bedroom to fit two cribs and a sofa very easily. We dressed up the room by adding wainscotting around the perimeter. 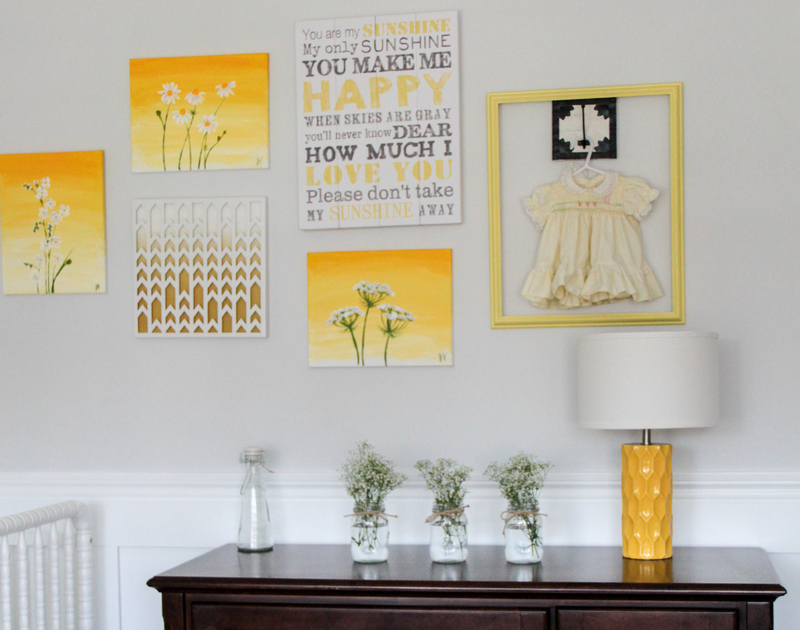 I wanted to have a neutral grey backdrop and bring pops of yellow into the room. The pull out sofa was a must for twins so I can tandem breastfeed and I just had to buy two DaVinci Jenny Lind cribs for our little girls. 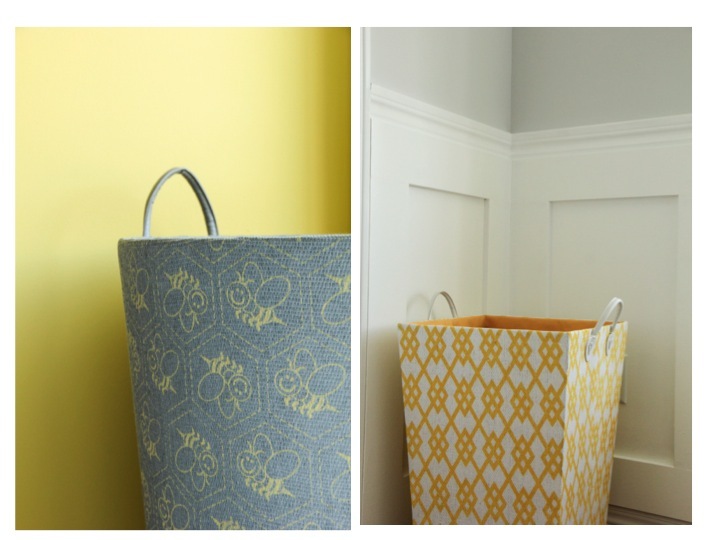 On top of a walk in closet for storage we also added a dresser, change table and a couple of fun printed storage bins for stuffies. 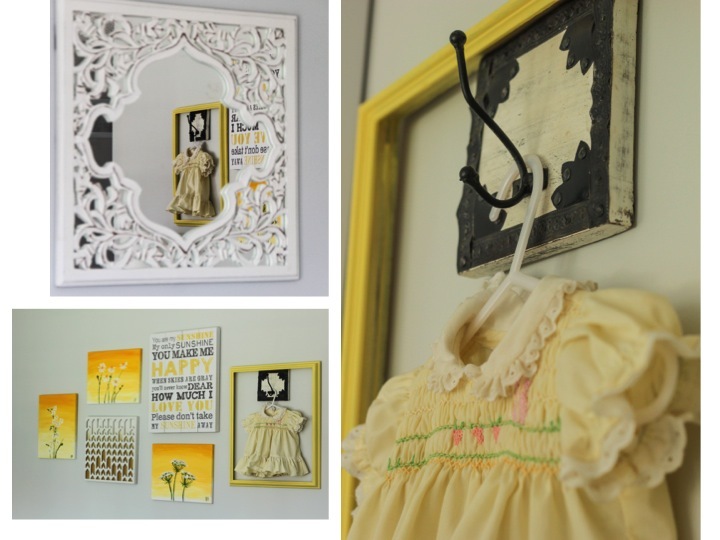 I created a gallery with some art I purchased, flower art I painted and I framed a dress I wore as an infant. 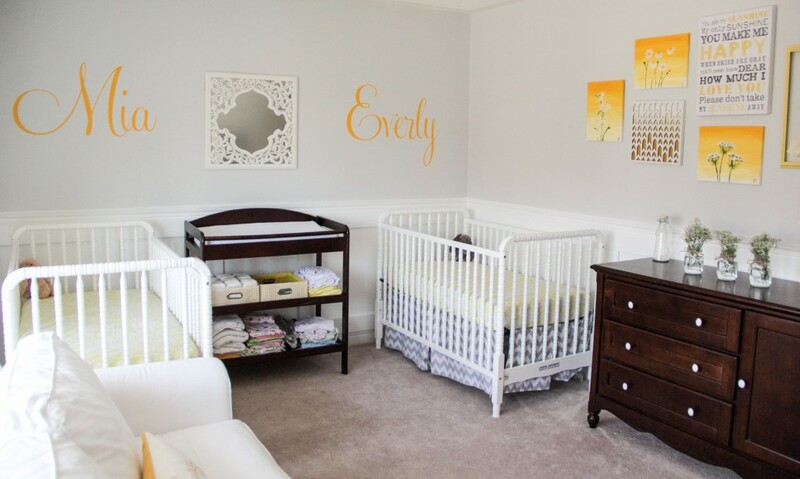 Once we finally settled on names that we loved I had decals made by Lena from Muse Signs so we know who goes in which crib. The bedding is from Pottery Barn and I found the airy valances and ottoman for a steal at Target. 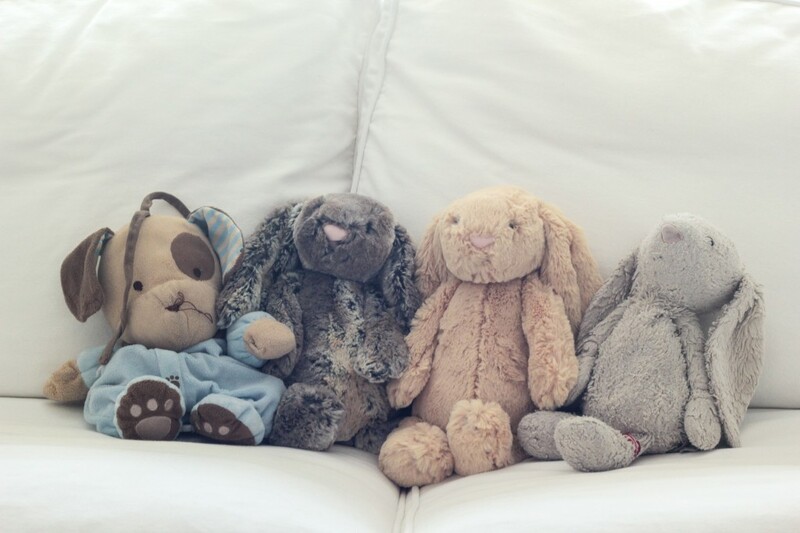 Now all we need are the room’s occupants to arrive… not long now! 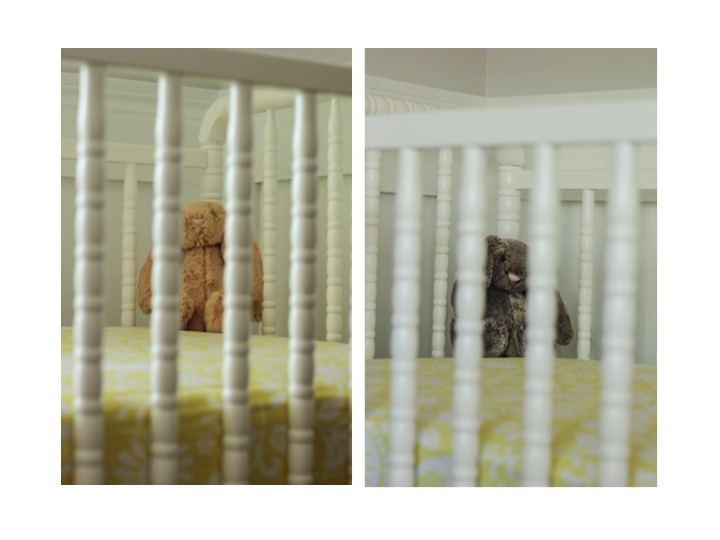 I must thank Veronica Spencer from Love and Found for kindly photographing the twins nursery for me. We cannot wait for Everly and Mia to join and complete our family! Stunning Absolutely out of this world. Jo you are so talented, can’t wait to see more pics!! Beautiful names for 2 sure to be amazing girls! Their room is stunning! Well done. Oh what sweet names! They are both so unique and pretty. 🙂 Now the question is, who gets which name? haha. 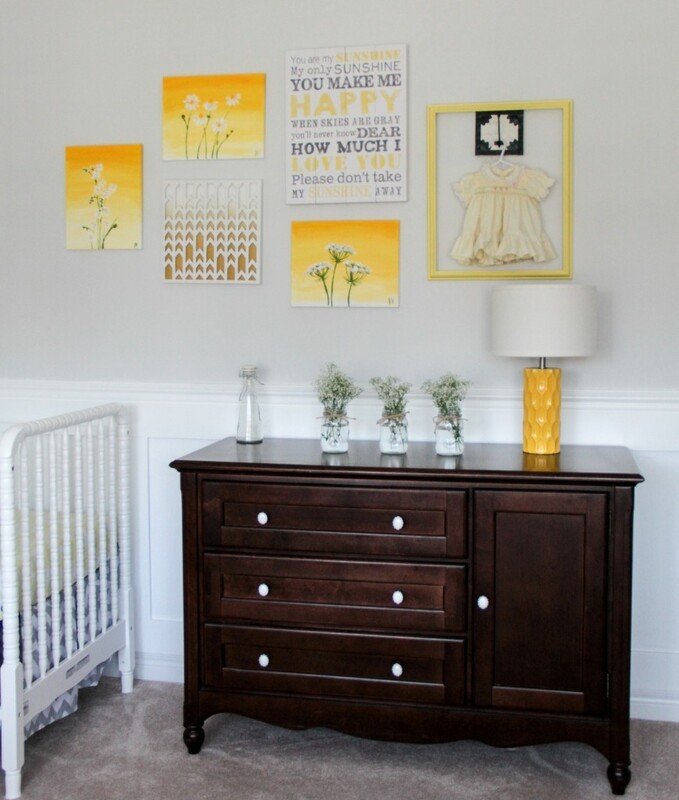 The nursery looks amazing – you are one talented lady! 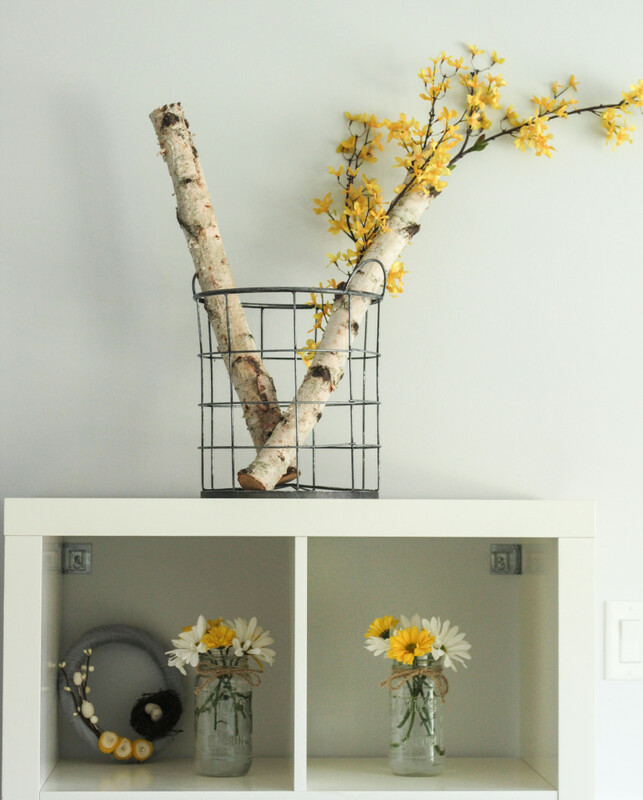 I really love the birch wood in the metal basket. Isn’t that ottoman from Target great? Stunning room, I love everything! Cribs, colours, accesories, my eyes are happy.